Sight Loss Can Kiss My Lash! Every girl wants to be able to look and feel her best. Even us blind girls! We still want a little fancy, some fantastic, and a whole lotta fabulous for ourselves! I might be speaking for only a few of us blind beauties or maybe just me. Whatever…it’s MY Blog! A photo of my eye with lash extensions! Well, listen UP girlfriends!! I have been doing something that makes me feel FAB! 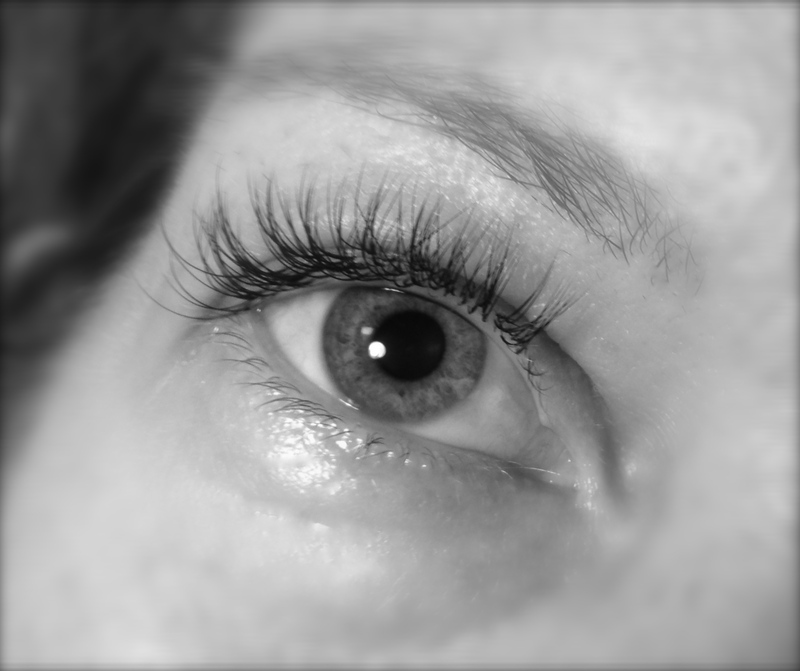 EYELASH EXTENSIONS! Where have these been all my life? They are the SHIZZ y’all! I love, love, LOVE my lashes! They are a simple fix for your mascaraless eyes and you never have to think about them! ….. Don’t we already have enough to think about? Is my shirt inside out, what color is this, can I get a ride, what does this say, who are you, is this a bottle of wine..…. Exhawwusting! I’m bringin’ fabulous BACK to this Girl Gone Blind. Sound wonderful, Maria. Just how are they applied? My husband has LHON and, believe me, lashes are not his thing. But I’m very interested. First of all….. You should do it! The extensions are applied on each individual lash. You can tell them how much volume or length you want. The initial Application takes about two hours but well worth it 🙂 go for it! Oh yeah!!! 🙂 bringing it back! You’re soooooooooo right. It’s so beautiful! No big deal! I want them to be natural, But noticeable! Wish I had done years ago!! 🙂 Glad you like them….. Thanks! Go for it Beautiful Girl!! The eye lashes are smashing!! Hey there! Just saw your comment! I got my eyelashes done in Del Mar, East of the race track. A studio called “lashes to Lashes”. I posted about them (with website)on my Facebook about A month ago. 🙂 they are the awesome!